People can have difficulty with face to face communication for many different reasons. Physical disabilities and motor co-ordination problems can make the production of speech difficult or impossible. People with some types of learning difficulties can find it hard to produce speech or handle spoken language. The term AAC is used to describe the different methods that can be used to help people with disabilities communicate with others. As the term suggests these methods can be used as an alternative to speech or to supplement it. No matter what their difficulties are few people can be said to have no method of communication. However, many people will have difficulty in getting their message across and it must always be remembered that this will require effort on the part of the listener (communication partner) as well. Communication is essentially a two way process which must involve some degree of mutual understanding and a commonly agreed method. Even when two people can talk and understand the same language easily there can be misunderstanding and failed communication. 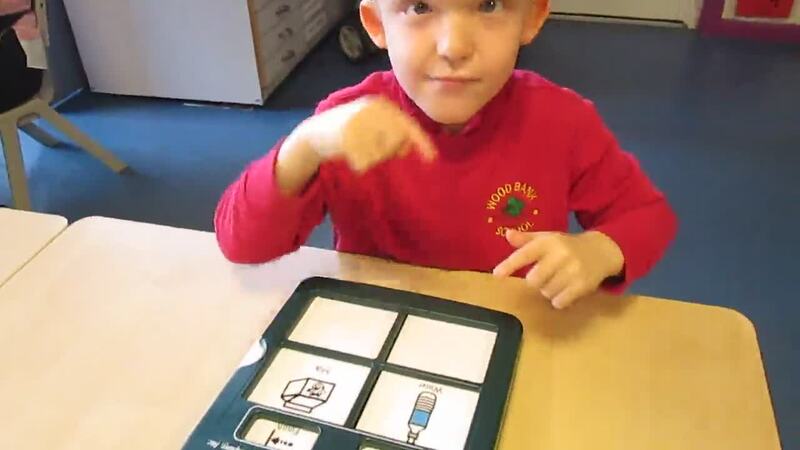 We have regular input from Speech and Language Therapists who work with us in school. We also work closely with Occupational Therapists who support to position equipment for our children where it will be used most effectively.